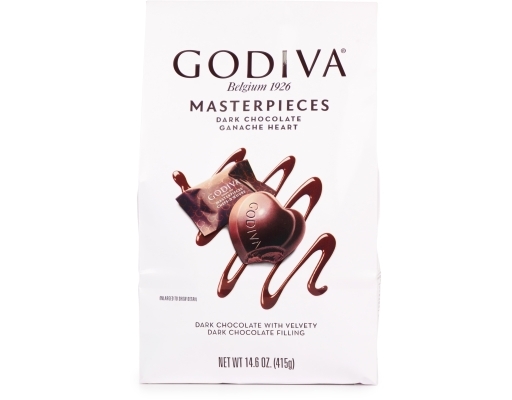 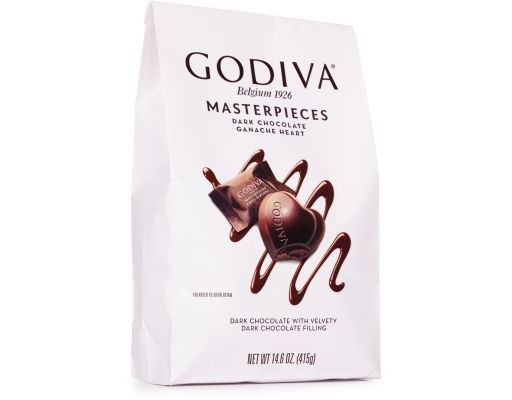 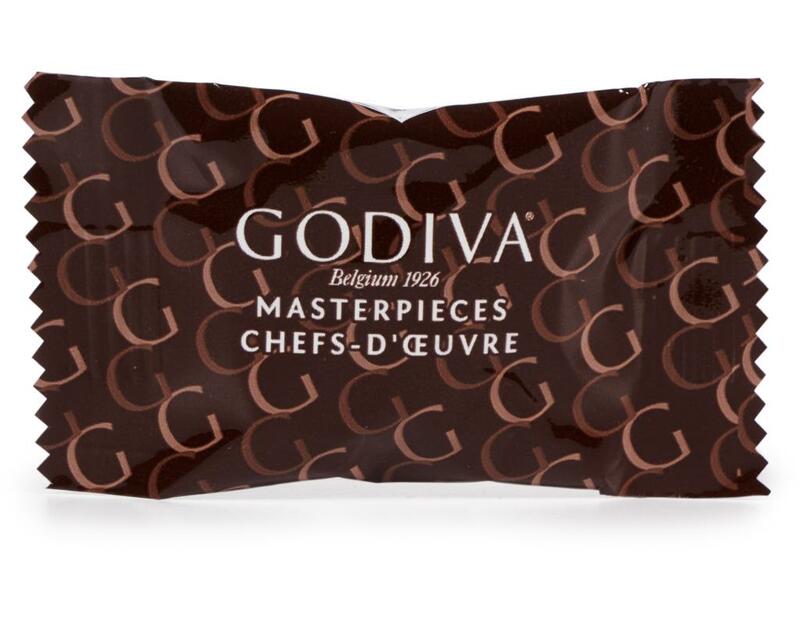 Introducing Godiva Masterpieces - Godiva's most exquisite chocolates now available in delightful individually wrapped mini chocolates, perfect to enjoy anytime. 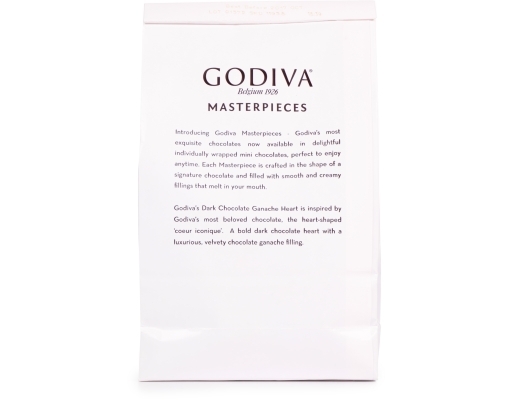 Each Masterpiece is crafted in the shape of a signature chocolate and filled with smooth and creamy fillings that melt in your mouth. 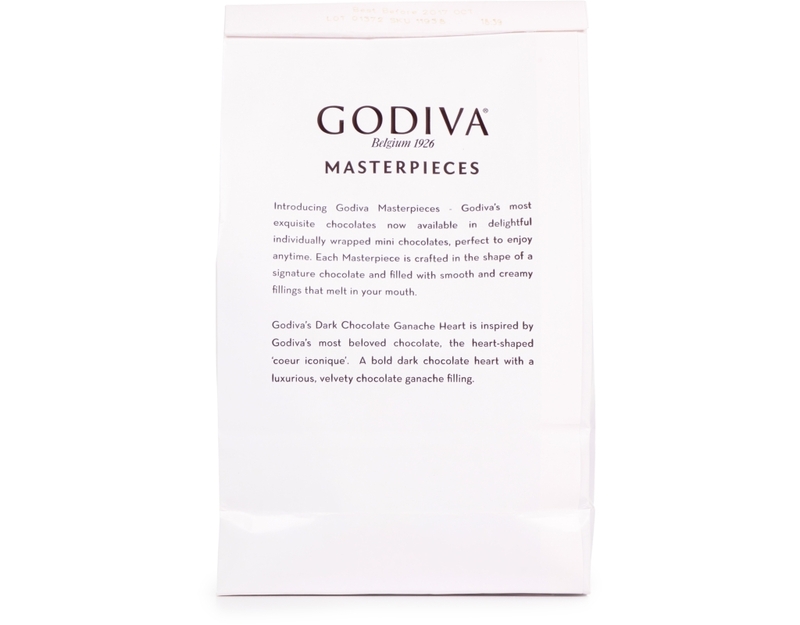 Godiva's Dark Chocolate Ganache Heart is inspired by Godiva's most beloved chocolate, the heart-shaped 'coeur iconique'. 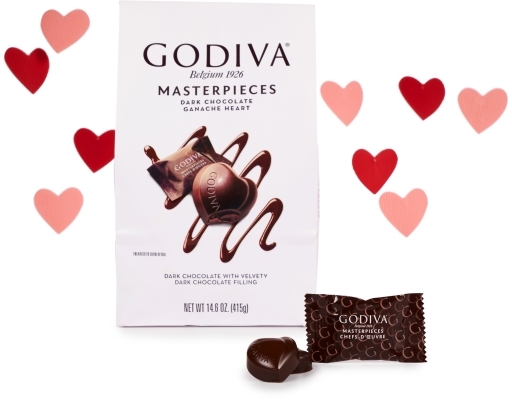 A bold dark chocolate heart with a luxurious, velvety chocolate ganache filling. 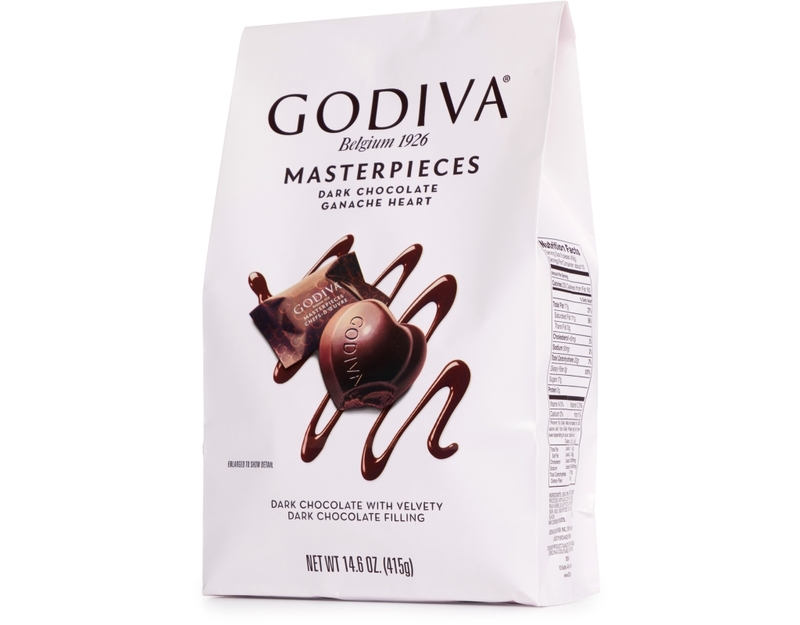 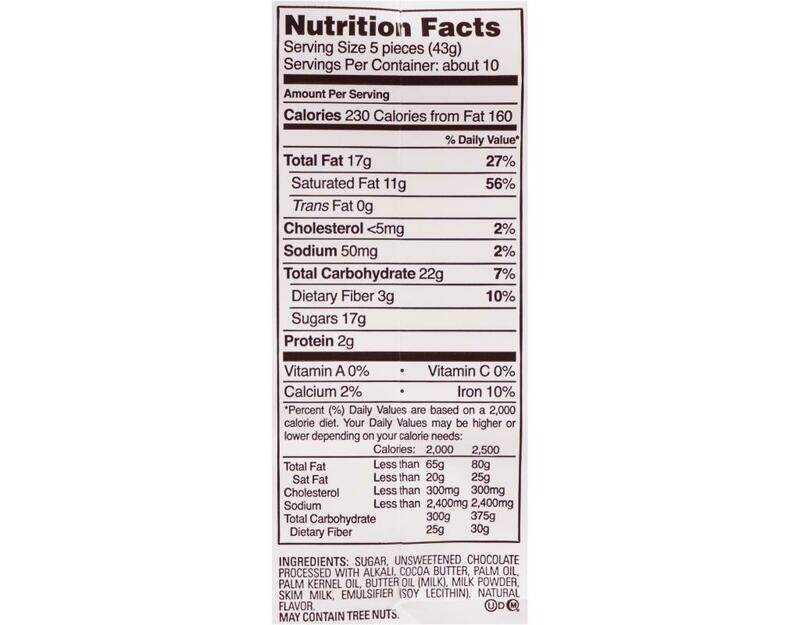 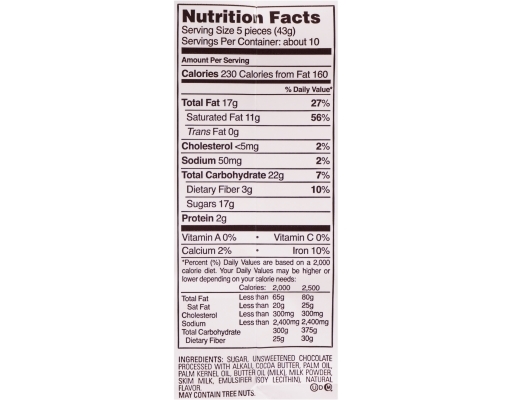 Sugar, Unsweetened Chocolate Processed With Alkali, Cocoa Butter, Palm Oil, Palm Kernel Oil, Butter Oil (Milk), Milk Powder, Skim Milk, Emulsifier (Soy Lecithin), Natural Flavor.